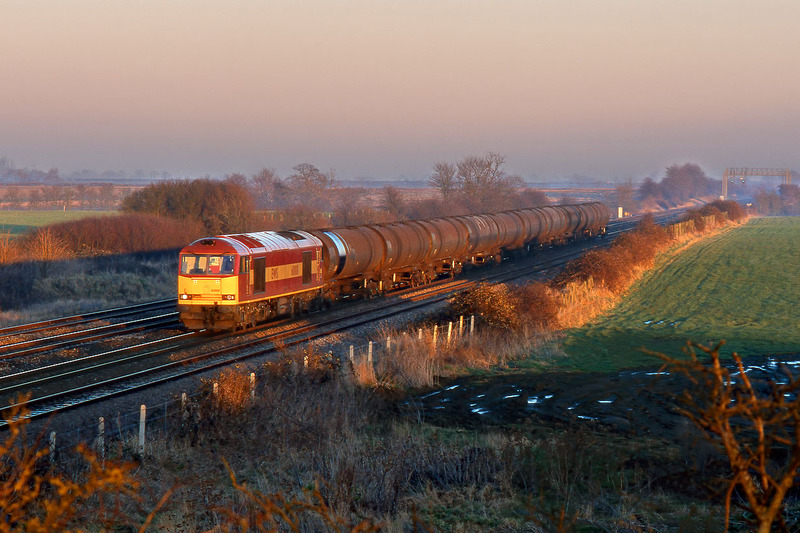 60001 just catches the very last of the weak late afternoon sunshine on 26 January 2000, as it passes Challow with the Wednesdays only 6B24 15:33 Didcot Power Station to Cardiff Tidal empty oil tanks. I was just walking back to the car when I saw this coming, and luckily managed to find a large enough gap in the roadside bushes to get a reasonably unobstructed view. Not a technically very brilliant picture due to it being taken with the lens wide open on 35mm Fujichrome, but included because of the excellent lighting and the fact that 60001 is one of those locos that always seems to have eluded me.